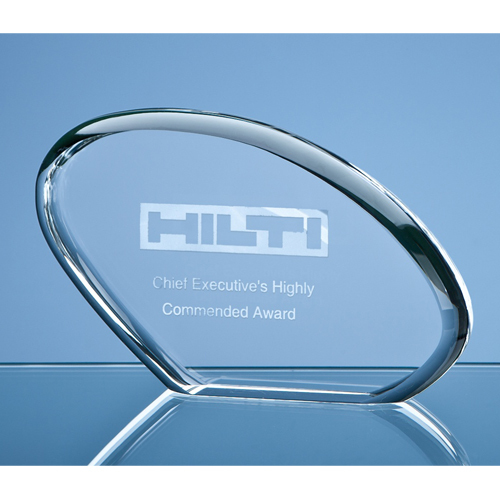 The stylish 'Sunset' award has been hand crafted out of perfectly clear 40mm thick optical crystal to create this uniquely shaped presentation piece. There is a large engraving area that can be personalised with any crest, logo or wording to create an award that is sure to be treasured by the recipient. It makes an ideal recognition, achievement or incentive gift and is supplied in a satin lined presentation box.